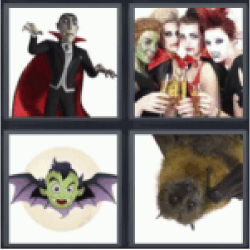 4 Pics 1 Word Dracula. Girls dressed as vampires. Cartoon bat. Bat.